Migrating to Windows 10 may seem like the logical choice for many banks and credit unions. Advantages include machines that will continue to perform optimally and remain Payment Card Industry Data Security Standard (PCI DSS) compliant. In addition, migrating to Windows 10 will reduce security risks, avoid non-compliance penalty fees, and is kept mostly invisible to the consumer using the machine. However, software migration isn’t the only option. For some institutions, the technology provided by brand new machines offers a distinct advantage over replacing the software in older ATMs. Interactive teller machines, or ITMs, have been receiving renewed attention lately. Used primarily for the live video chat feature that connects the user to customer service, today, ITMs are also capable of dispensing cash in multiple denominations and currencies; managing cardless (via smartphone) withdrawals; and issuing prepaid cards, stamps and lottery tickets. 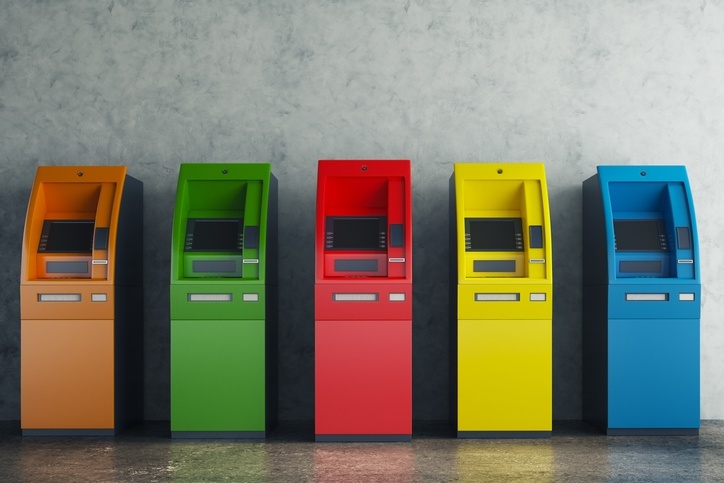 With a typical price tag roughly three times that of a standard ATM, financial institutions have been understandably judicious in their rollout of any ITM strategy. The potential overall cost of a Windows 10 upgrade in terms of time, money and operational disruption, though, has made ITMs more attractive. Machines placed into service over the past few years will likely cost $10,000-$12,000 to keep in compliance by migrating to Windows 10. Unfortunately, the average in-service ATM is well over three years old, making this process even more complicated and expensive. Machines more than seven years old may not even be compatible with the patches required as a prerequisite to a Windows 10 upgrade. Given the investment levels associated with this upgrade, the question being raised at many institutions challenges the wisdom of spending so much to keep an older ATM in service. As with used cars, the “repair” estimates can become too high to justify keeping an older car (or ATM) on the road. For all but the newest models, the Windows 10 upgrade is much closer to a new transmission than a new set of tires. Although customers would be none the wiser if their financial institution neglected to upgrade its ATMs, this would be a highly risky strategy. Perhaps a lot like continuing to drive with a known defective airbag. The downsides are hard to quantify, but the reputational risk of any resulting incident would be massive. Not upgrading ATMs to Windows 10 compatibility should be seen as far too risky, vis-a-vis corporate reputation, to be an option. That is why ITMs are getting a second look by many banks and credit unions. In fact, some early adopters of ITMs have already begun to refresh their fleets to get access to the improved functionality in second generation machines. Where to deploy ITMs and how best to use them varies by institution. Some are redesigning branches to resemble grocery self-checkout lanes, using ITMs and roving attendants to provide assistance and engage in high-touch and value-add requests. Others see ITMs as a standalone option to approximate a new “lite” branch location. Yet, given the cost, no financial institution to our knowledge has undertaken a full swap-out of ATMs for ITMs. With the early 2020 deadline approaching, retail banks and credit unions, whether they are considering ITMs or new ATMs, need to consider that widespread demand could create production backlogs. For that reason, some vendors have encouraged financial institutions to place orders to reserve their spot in the queue, waiting until later to deal with other terms. We strongly advise against this approach. Ongoing contract costs (maintenance, cash services, software licenses) are significant and should be part of the financial institution’s vendor contract negotiation process while it still holds leverage (i.e., before reserving a “spot in line”). Indeed, while some are rushing into the Windows 7 sunset to put in orders for new machines, other institutions are looking into alternative options as well; e.g., ATM outsourcing networks that are currently run in-house. In any case, whichever strategy a bank or credit union decides to use to meet the deadline, it must not let urgency compromise the leverage in negotiating for what is needed to support the chosen direction. Of course, those who do not act soon will, by default, face less attractive options when it comes to these negotiations.